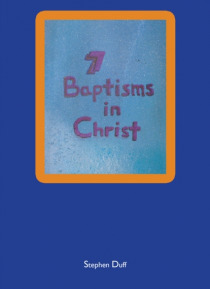 The first person to review this book said that she had always believed in Jesus, but after reading this book she now understood Christ and Christianity in a way that made her faith so much stronger.This is a Bible based book that is laid out in a simple to understand unfolding manner from the basis of our church lives, through Gods whole communion with His people to the whole purpose of Creation.S… tephen discusses many biblical principles including the Shekinah Glory and how it works; an understanding of why and how we are made in Body, Soul and Spirit; what really is the 1st sin and how does the Name of Jesus impact it; how and why are the baptisms in Water, Fire, the Holy Spirit and the Love of Jesus, and thus how is He the Christ? How does this all fit together in a way that is easy to see to grow our Faith and thus salvation?These and many more keys to opening our hearts to the Gospel of Jesus are answered in a manner that is easy to understand. For any student, teacher, preacher or minister, or any person who wishes to grow more deeply, and thus share in the Love of Jesus; this is Stephens offering to you.